Blog & Journal > Health > What Are Meditation Gongs? When you talk about meditation gongs, what comes into mind? You may consider the squatting position, the calm environment, the blank mind, and so on. The least you may have not thought however a very essential one if you are practicing ancient Chinese meditation is the gong. The gong is one of the oldest therapeutic instruments used in yoga, sound meditation, and vibrational therapy. It is amazing to consider that this item is still present today. The gong is an ideal tool for stress reduction, stimulation of the glandular system, and as it works as a facilitator, this helps break up emotional blockages. You should know by now that sound and even music could be a sort of nutrients for the nervous system. The auditory mechanism is like a portal to the brain and these sonic tools that produces sonic waves, empower health, learning and productivity. The gong’s nature that resonates to all cells of the body simultaneously in a most powerful and effective way is a great asset that it has. This is why it has been involved in the healing, meditative, spiritual, and transformational pursuits to raise an individuals vibratory frequency this in turn helps reinstate the balance inside the body. 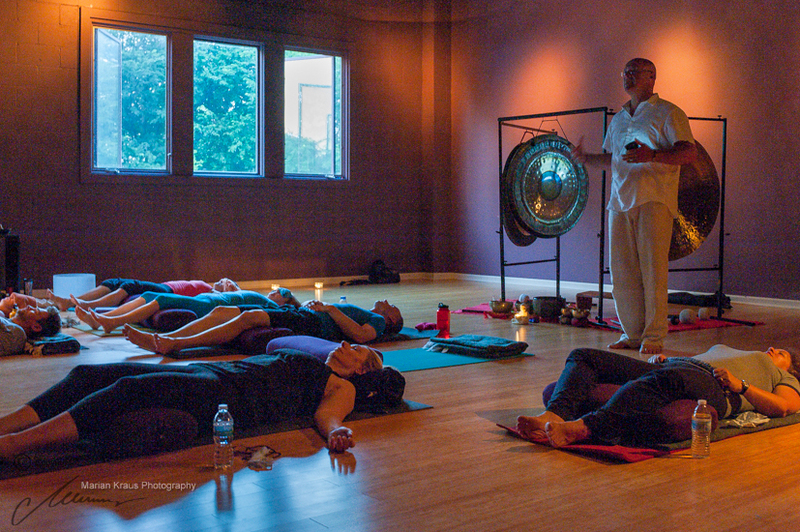 Gong Fu Vancouver and other masters in the US love to share their own experience with the gong and how it is used as their primary tool to signal relaxation and meditation. Well, it is only natural since as early as 4000 BC, people in various cultures have used gongs as a part of ritual ceremonies and even a scared instrument. Even in the ancient alchemy sources put the gong as far as 16000 BC. The physical sound vibration of the gong indeed provides an extraordinarily harmonizing and powerful trip to the realm of meditation and concentration. Sometimes, as yoga practitioners cite it, it is their signal to transform and connect with their inner self. As it concerns to a geometric viewpoint, a circle, which is the gong’s basic shape, represents a beginning that has no end. It is an ever expanding potential that represents cultures and it is sometimes a symbol for the heaven, the divine, unity, totality, or perfection. Now consider how you throw a round pebble to a placid lake and picture how the stone could jump and vibrate on each bounce. Like the round pebble, the gong acts like a rippling effect where people are able to vibrate all throughout our body since our body is liquid and how it could affect our body is beyond obvious. With 90 percent of our body liquid, the vibrations that the gong provides is profound and affects everything in us. If you are interested in learning more about qigong vancouver bc and the classes available, you should pay them a visit. Furthermore, learning about meditation might be a lifelong process. For some it is considered a lifestyle. As for the folks practicing Gong Fu Vancouver, they think that it is essential to have a harmonious life. As for everyone, you should know that it is important to understand about the tools needed for proper meditation. A gong is definitely a good instrument to build trust and become something that people can use to aid everyone’s success in meditation. Nonetheless, the gong will be a perfect way for you to start your life with meditation and also the right practice of how the ancients have done it. The Exotic Koh Samui Island in Thailand an Affordable Romantic Destination!